Find the top party venues, decorations, gifts and birthday party entertainment in Brooklyn. If you need birthday party ideas in Brooklyn then consult our one-stop guide. Kids parties in Brooklyn are more fun when you've made it memorale with the top entertainers we have listed here. Your child's party will be unforgettable when you book a cool birthday party place in Brooklyn . Don't have the party at your house where you'll have to deal with the mess - have it at Brooklyn birthday party places! You'll love our one-stop guide to Brooklyn kids party entertainers. 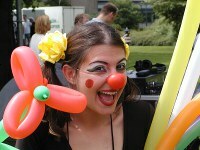 Make your next kids party special with the top childrens birthday party entertainers Brooklyn has to offer. Find a list of the top kids party rentals Brooklyn has to offer. 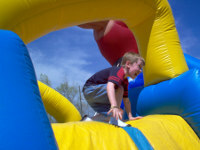 From bounce houses to party tents you'll find it all offered by these vendors of childrens party rentals in Brooklyn. 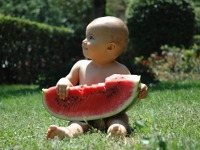 Planning parties for young children Brooklyn is easier than ever when you use this guide! 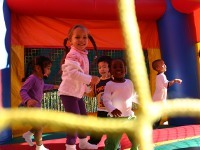 We offer you a wide selection of Brooklyn parties for young kids so you can throw your child the party of a lifetime! Find the top party services in Brooklyn for your next event. Whether you just want to hire a caterer or you want someone to plan your whole party, you will find help in this guide to Brooklyn party services. Theme Parties in Brooklyn are a great way to get every child at the birthday party participating. 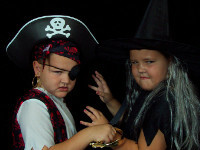 No matter who your child's favorite character is you can find themed kids parties in Brooklyn to match that character.